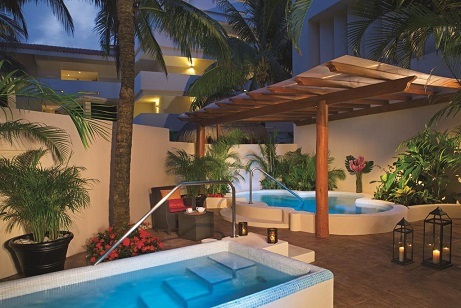 Home : Mexico Getaway! 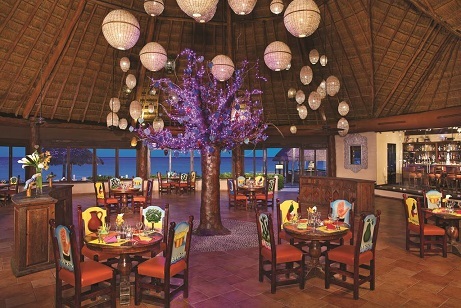 3 All Inclusive Nights in Riviera Maya at Dreams Puerto Aventuras w/ Air Starting at $469 Per Person! Mexico Getaway! 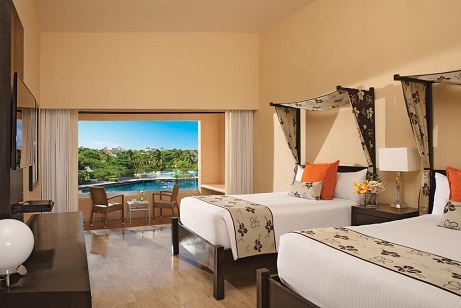 3 All Inclusive Nights in Riviera Maya at Dreams Puerto Aventuras w/ Air Starting at $469 Per Person! 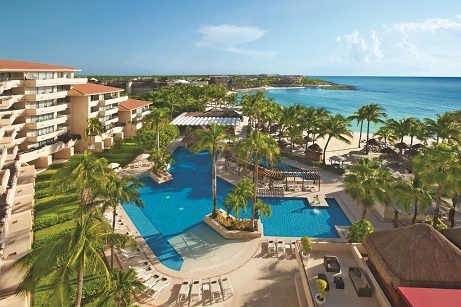 Round Trip Flights Dallas/Ft.Worth-Cancun.Other departure cities available. Click on date of departure for selection and prices. Base Rate: Dallas. Add Only $29: Chicago & Fort Lauderdale. Add Only $59: Houston. Add Only $79: Washington. Add Only $89: Detroit. Add Only $109: NYC. Add Only $119: Philadelphia. Add Only $129: Atlanta. Add Only $139: Denver & Boston. Add Only $149: Los Angeles & Cleveland. Add Only $169: Raleigh. Call JetsetVacations (800) 538-9188 or TravelByJen (800) 603-3178. Please note this package does not include transfers. You may add transfers on for an additional cost. For information about passport requirements for Mexico please contact the Bureau of Consular Affairs. Jet Set Tours Airfare - These are Jet Set Tours fares which allow you to book your trip while paying a minimal deposit at time of booking. Advertised prices, unless otherwise specified, are per person based on double occupancy. Package price varies by date, departure city and availability. For Vacation Package Bookings Advertised price does not include certain government-imposed taxes and fees, such as the September 11th security fee up to $10, PFCs up to $18, segment fees up to $4.00 per flight segment, and applicable U.S. departure taxes up to $85. Infant Taxes Infant taxes are not pre-collected. These taxes will be payable to the airline carrier at the airport on the day of departure. For Hotel Only Bookings Final price includes all applicable resort taxes and fees. While reasonable effort has been made to ensure the accuracy of the information on this website, JetSetVacations.com does not assume responsibility for any errors or omissions. Most Popular Tour Destinations :- costa rica vacation packages , resorts in arenal , costa rica vacation deals , arenal travel , costa rica travel packages , arenal tours , cheap costa rica travel , guanacaste tours , costa rica travel tours , resorts in guanacaste , costa rica travel deals , guanacaste travel , costa rica family resort , quepos travel , costa rica packages , quepos tours , costa rica package deals , Resorts in Puntarenas , costa rica resorts , Puntarenas travel , best costa rica resorts , Puntarenas tours , cheap costa rica resorts , Resorts in Jaco , best resorts in costa rica , Jaco travel , tours in costa rica , Jaco tours , costa rica honeymoons , wedding in costa rica , costa rica destination wedding , costa rica family vacations , Costa Rica Vacation , Costa Rica Family travel , costa rica family resorts , family resort costa rica , best costa rica resorts , family resorts in costa rica , costa rica honeymoon resorts , best resorts in costa rica , costa rica wedding packages , costa rica tour package , etc. Registered with the State of Florida as a Seller of Travel. Registration No. ST 37988. Registered with the State of California as a Seller of Travel Certificate of Registration No. 2103192-50.